FAA Looking Into Use of Drones in Journalist's Tornado Coverage - trendistic.com: ever tried. ever failed. no matter. try again. fail again. fail better. Tensions between drone journalists and the Federal Aviation Administration may be coming to a boil. 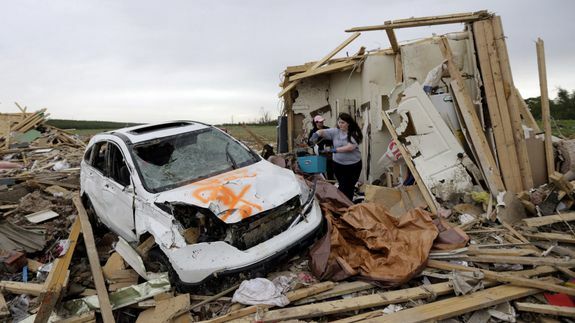 The regulator of America’s airways is looking into the use of aerial drones by journalists in Arkansas to survey tornado damage, an FAA spokesperson confirmed to Mashable. The story, as first reported by the Arkansas Democrat-Gazette, is the latest move by the FAA as it attempts to regulate unmanned aerial systems, which may or may not fall under its jurisdiction.